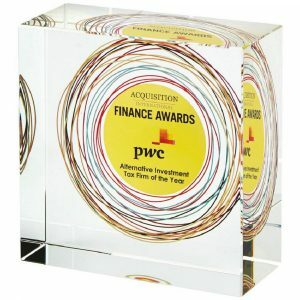 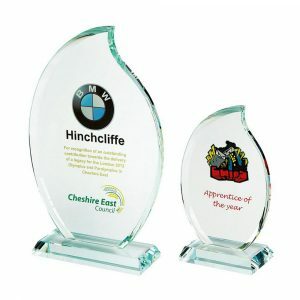 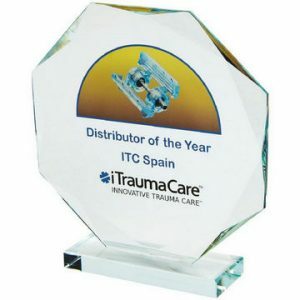 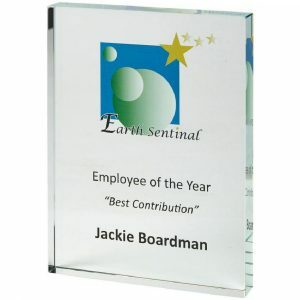 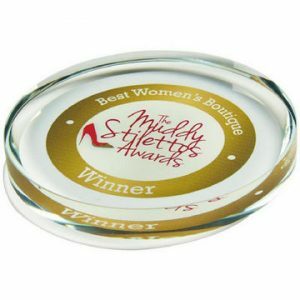 If you’re searching for eye-catching yet low-cost awards, our glass and crystal colour print trophies are hard to beat. 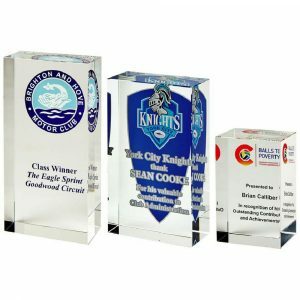 Stylish options for sporting presentation ceremonies, they’re also ideally suited for use at corporate celebrations, and each one can be emblazoned with a print of your company’s logo or engraved with the recipient’s details for an exceptionally affordable fee. 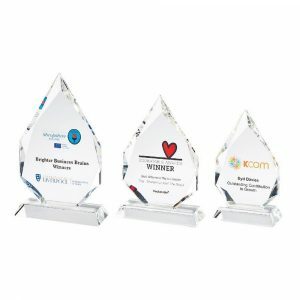 Purchasing bespoke awards for your next presentation ceremony can be both simple and cheap – just order them from our online store. 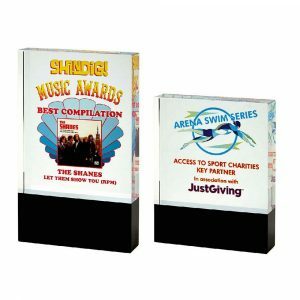 We’ve got some stunning pieces in a wide array of sizes and shapes, and our in-house experts can add a print or an engraved message to the product of your choice to ensure that it reflects your company or sports club’s individual style. 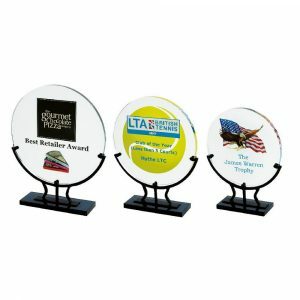 All of the trophies in our collection are high-quality and appealingly designed, so when you present one of them to someone, they’re sure to be thrilled. 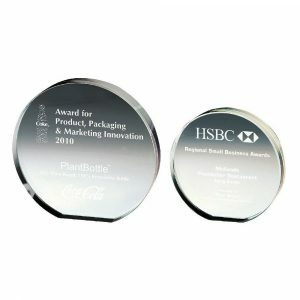 However, personalising your awards will ensure that the high flyers at your event will never forget what they’ve achieved – and that could boost morale amongst your employees or encourage your club members to work even harder to succeed in future. 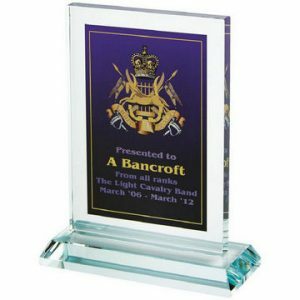 You’ll find plenty of customisable pieces to choose from in our collection, including sparkling crystal, elegant jade glass and contemporary glass items. 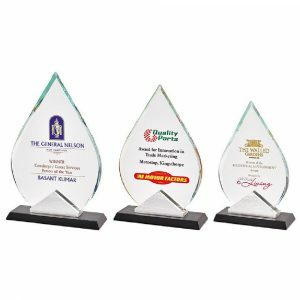 We stock intriguing iceberg trophies, fabulous flame awards, delightful diamond-shaped products, beautiful block awards and more, so you’ll find something that will look the part on your presentation table with ease. 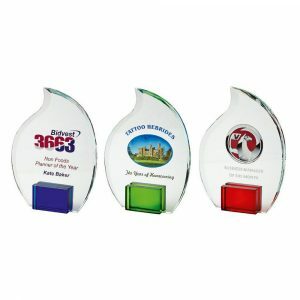 Whether you’re looking for a reward for the star of your sales team, a gift to mark an employee’s long service to your firm or a memento for a hard-working member of your sports club, we’ve got the perfect item for your needs. 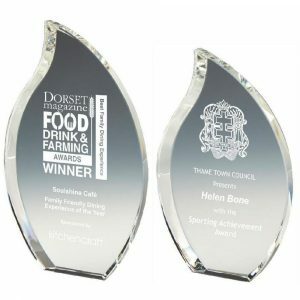 What’s more, if you want to discuss your requirements with us in more detail, you can do so just by calling 020 8722 0250 or emailing sales@challengetrophies.co.uk.